Get a Free Lead Generation Software Demo, right now! Find out for yourself, exactly why our lead generation software is the best available. 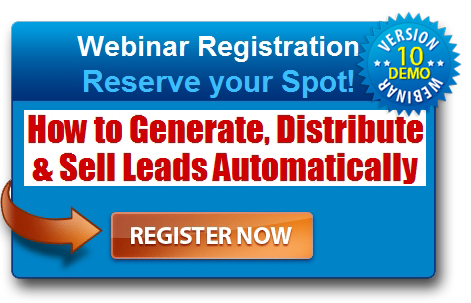 How you can quickly automate 100% of your lead capturing, processing, filtering, selling and delivery; allowing you to run your entire lead distribution on complete autopilot. Although Instant leads was developed for companies that sell leads, it's equally suited to any organisation that needs to generate leads, and distribute leads in real time to their own sales team. Instant Leads is lightening fast, incredibly flexible, and very easy to use. Take a test drive right now, by filling out the form below or by joining a live or recorded webinar. © 2009 - 2014 Instant Leads Software.